We were recently given the chance to try some Rain Cosmetics products. We love the packaging and couldn't wait to see how the products measured up...keep reading for our mini reviews of what we tried! 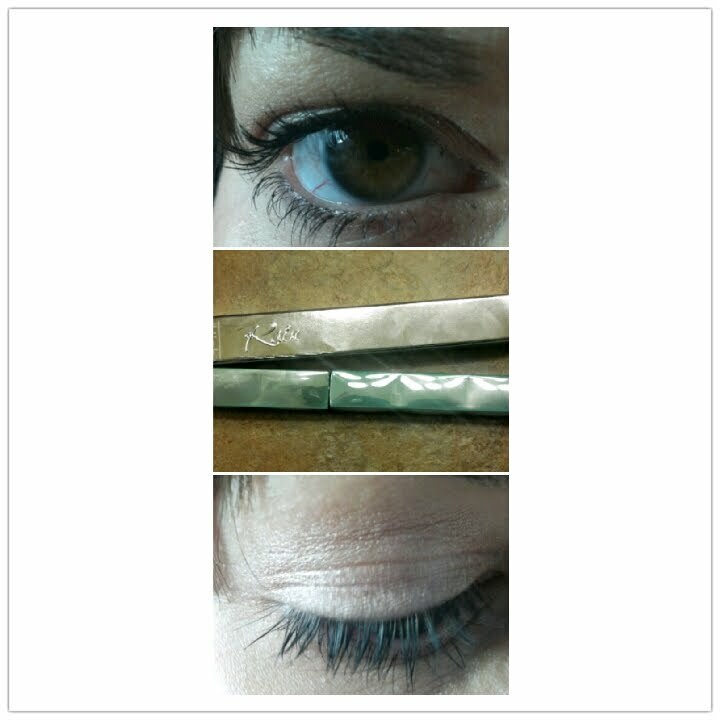 Justina Says: I loved the aqua blue packaging of this mascara. As far as application, I thought it was pretty average for a high end mascara. The color is rich black and the formula promises to build bold, weightless volume, as well as longer, thicker, and smudge free lashes. I loved that it thickened my lashes without flaking off all over. For $22 this would be a good pick for a mascara if you're not looking for high drama. It's a good every day formula. Justina Says: I love this berry colored shade because it is so unique. It is definitely in the berry family but very pink/coral toned. I don't have anything like it, and I have a huge makeup bag JUST for my berry lip colors. It's a very shiny formula and ultra moisturizing. The color goes on highly pigmented, and even when the gloss fades over time with wear, the color remains on the lips, almost like a stain. It smells like vanilla to me, which I love. I've been reaching for this shade a lot lately! Justina Says: This is a very smooth and silky foundation. It's almost like it has a built in makeup primer- that is how silky the formula is! 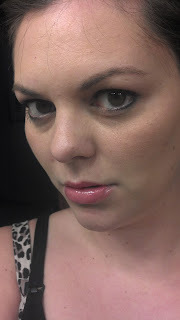 Because of how feather light the foundation is, I felt like I used more of the formula than I normally would use. I am wearing it in the picture above, and I feel like it made my skin look very smooth and soft. I also love the fact that it has SPF! It is a very light and thin formula for a product that has SPF- usually products with sun protection go on thicker and are harder to spread. Jessica Says: My shade is Cream Corset. I loved the feel and texture of this product. It was almost mousse-like. It applied evenly and smoothly onto my skin and was easy to use. The packaging is super cute and has a nice tip which ensures you don't waste product. You don't need too much of this to cover your face and I would consider the coverage to be medium. This blended nicely with my natural skin-tone and really did give my skin a flawless look. Jessica Says: This red is a "racy scarlet red" and does not disappoint. If you are looking for a bright red that will wow, this is definitely it. It has a fruity smell to it which I love. My only complaints are it seemed to make some dry skin on my bottom lip more noticeable (time for some lip exfoliation with a tooth brush), and the brush applicator made it a little difficult to control the amount of product. I found I would apply too much to begin with and had to pat some off, but its certainly not the end of the world! This color is long lasting and even when wiped off, leaves a colored stain on your lips (in a good way). Retails $20. What are your thoughts on these gorgeous Rain Cosmetics items? Have you tried this brand before? Leave us a comment and let us know! All images and content of this post is the property of TruBeautyGems and may not be used without our express permission. These products were sent for review, but our opinions are honest and they are our own. We were not compensated for this review. I have never heard of the brand. I like the lip gloss color..Berry Manilow...LL cheesy name but pretty shade. I also liked the description of the mascara. Where can you buy these products at? The packaging is so pretty! And I love the lip colors.